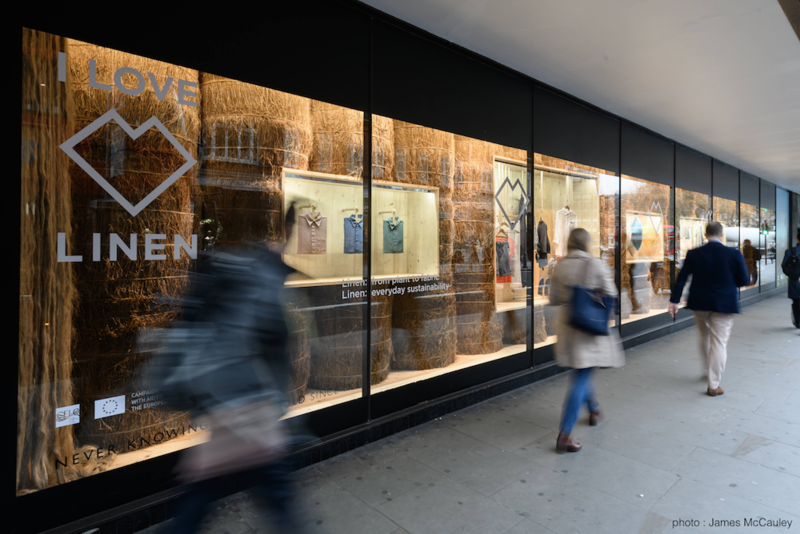 On Friday, stores up and down the country, from Peter Jones in Sloane Square to Brora in Glasgow, unveiled their I LOVE LINEN displays in a celebration of this fabric’s stylish and sustainable properties. As well as shop windows and installations, each store will give away flax seeds, so you can enjoy the beautiful blue blooms in your own back garden or planter. You can explore the full rundown of the stores on the Linen Locator on our website, but here’s a round up of shops in the capital that you shouldn’t miss. Around Europe’s busiest shopping destination, there’s something to please everyone. Check out our shop windows at John Lewis’ flagship store, browse luxury linen menswear in Canali, or stock up on quality basics at Uniqlo. If you fancy something a bit different, there’s Velorution on Great Portland Street which stocks a bike helmet made from flax. 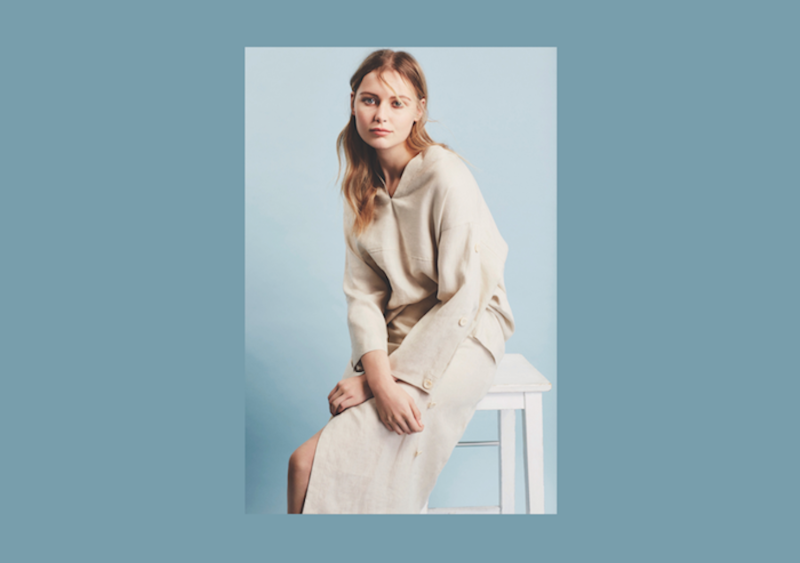 Nearby in Marylebone is a trio of womenswear stores, Brora, Jaeger and OSKA, each stocking linen in contemporary silhouettes. 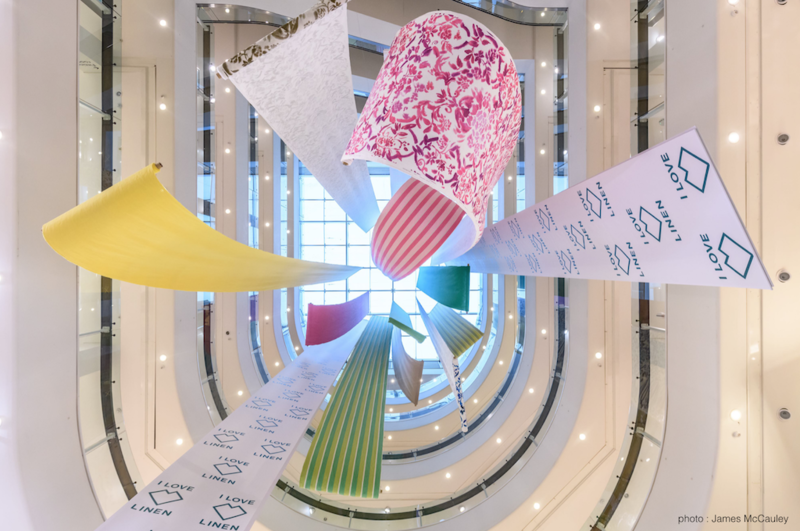 Our fabulous installation in the atrium of Peter Jones in Sloane Square is not to be missed. 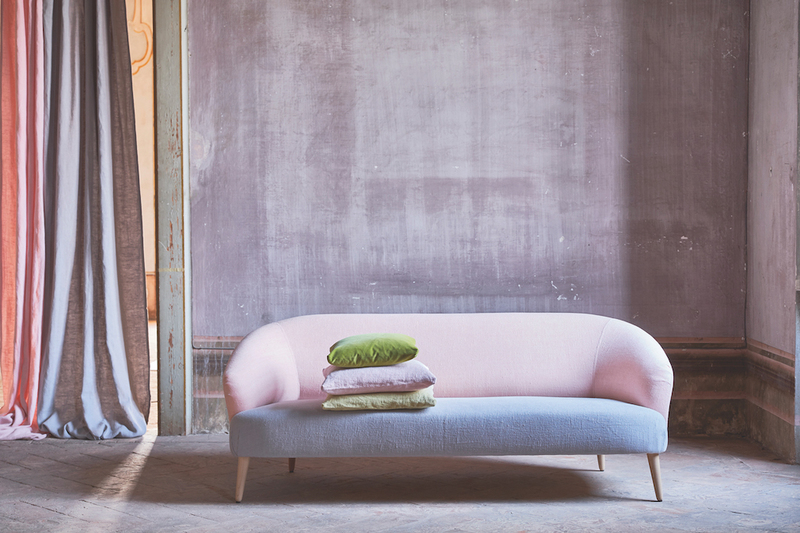 While you’re in the area, take a look at Designers Guild’s beautiful furnishing fabrics and don’t miss Justine Tabak’s popup shop – she’s there from Monday 16th to Sunday 29th April showcasing her new Spring collection. 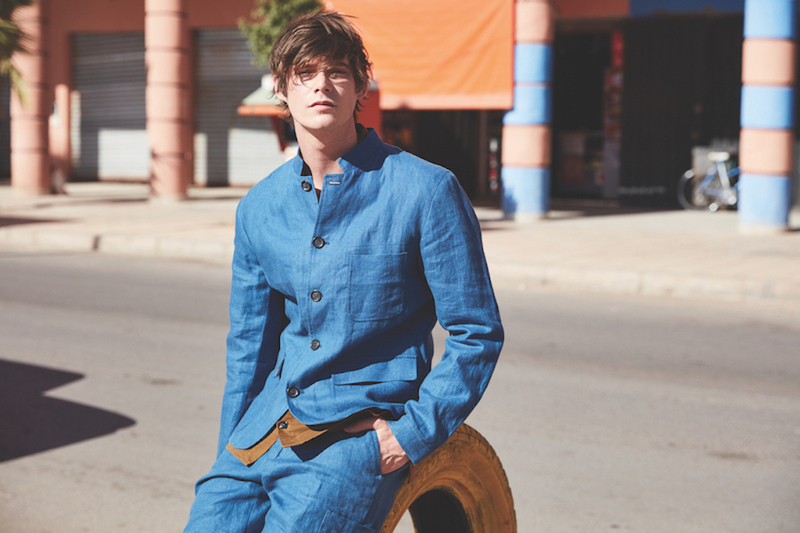 Oliver Spencer has modern menswear on offer, while Ally Capellino stocks cool accessories for both men and women. Head to House of Hackney for bold and unique takes on classic fabric designs. Not in London or near one of our partners? We have a whole host of online retail partners too. Look for charming childrenswear at Nellie Quats and cool summer outfits for your holiday at Oramai London and 120%. Margo Selby has a range of bright geometric textiles in bed linen, cushions and towels, while Po-Zu stocks vegan shoes, made with foiled metallic linen.